In recognition of International Women’s Day, join us and our colleagues at Harvard School of Public Health for a special screening of The Man Who Mends Women on Monday, March 13, 2017 at 6pm in the Cherry Room at New England School of Law. The Man Who Mends Women is an impactful film that follows Dr. Denis Mukwege and his work at Panzi Hospital in Eastern Democratic Republic of Congo. 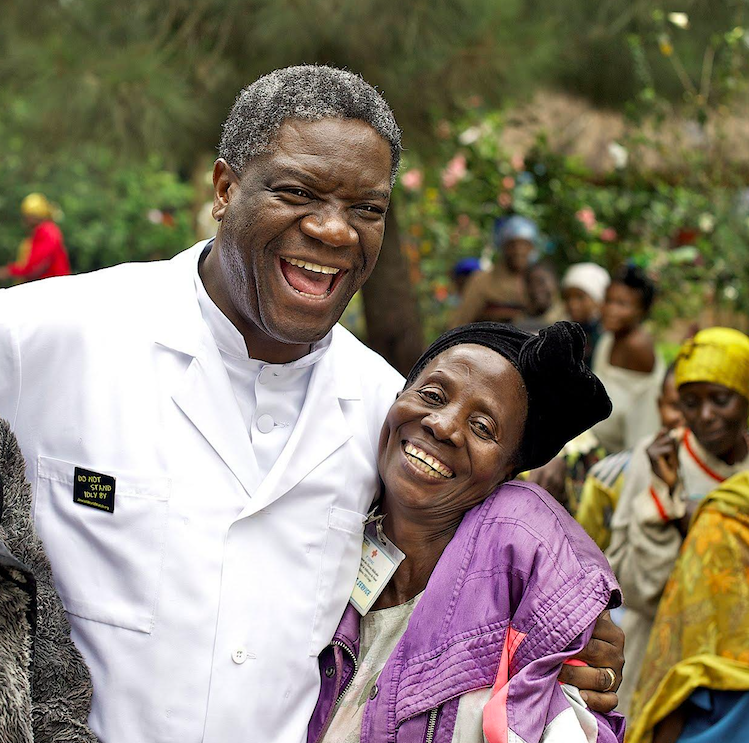 Winner of the Sakharov Prize 2014 and a three-time Nobel Peace Prize nominee, Dr. Mukwege has diligently dedicated his life to repair the bodies and rehabilitate the lives of thousands of women who have been raped during the 20 years of conflict in the DRC. The evening will give you the opportunity to engage in discussion about women, women’s empowerment and the issues that plague women around the globe.. The film will be followed by a panel discussion with Jessica McKinney, PT and Dr. John Quattrochi. Jessica is the Director of the Center for Women’s Health at Marathon Physical Therapy and Sports Medicine LLC. John is an Assistant Professor of Public Health at Simmons College. They have both had the unique opportunity to work at the Panzi Hospital. Admission is free to the public, but RSVP is required. The location for this event was generously donated by the New England School of Law. Please consider making a suggestion donation of $20 to help us cover the costs of snacks and beverages provided.